Beef Stew? HAHA! Not really…it’s mostly because KStew inspired Thursday’s outfit. 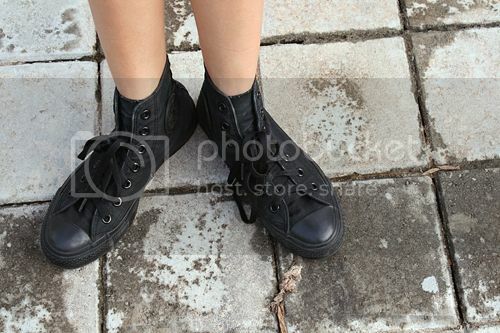 All I lacked were those trendy/chic sneaker wedges! (Shout out to Jezza Sy! Gurrrl, we gettin’ ourselves a pair soon alright?) Instead, I wore sneaker sneakers and added a leather jacket because I love leather jackets! Honestly KStew, your outfit in this year’s Comic Con seriously caught my eye! It’s so effortlessly cool! I feel like I’m using a lot of exclamation points lately!!!! Lets all take a walk down memory lane in honor of my bro’s birthday (and I believe it’s Bea’s brother’s birthday this weekend too HAHA). 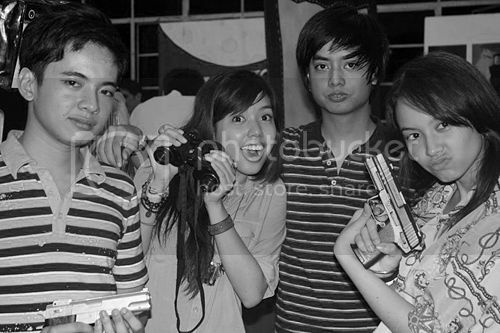 My brother and I plus Bea and her brother during our Seniors Thesis exhibit last year! HAPPY BIRTHDAY BROTHERSSS!